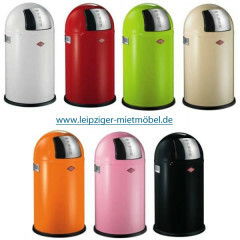 Thanks to its lively colours, PUSHBOY will even make your waste look good at your trade fair stand. It fits into every corner, has a volume of 22 l and is mostly happy. 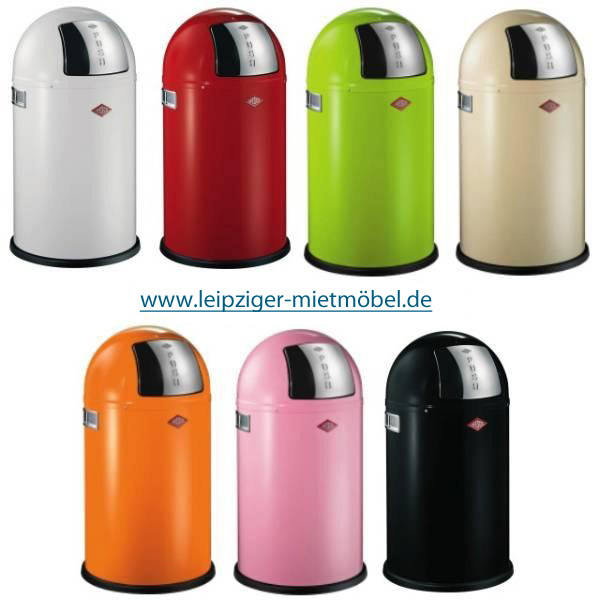 Colours in red, almond, white, black, lime green etc.